At the AGM there were three senior managers from Govia Thameslink Railway who gave a Powerpoint presentation concerning the East Coast Railway route of which the Marsh Link forms a part. It shows why they have changed the timetable and options that were considered with some useful data from extensive surveys about passenger journeys along the route. 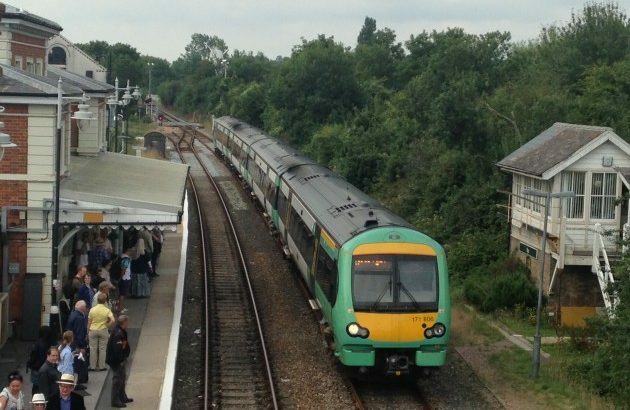 It was decided that the only way of improving reliability of the timetable and to enable changes requested by rail user groups such as better conections at Ashford was to split the Ashford to Brighton journey. There were two options, to split the service at Eastbourne or to split it at Hastings. It was after consultation with user groups that it was decided to make the split at Eastbourne which enabled an extra train to run between Hastings and Brighton. There are winners and losers as a result of these changes as detailed by Stuart Harland in his report of the AGM. Unfortunately since the AGM the reliability of the service seems to have deteriorated and there are particular worries about the Rye Shuttle which is being cancelled far too often. The effect on commuters and students who rely on these services are causing numerous justified complaints. It is a particular concern that unless reliability of the service improves when the new timetable comes into service all the benefits will be lost and discontent will grow. Blog, Events, Latest News, Slider. permalink.